Style your living room or family room with this traditional chair and ottoman combination. A thick seat cushion and curved wing back offer plush comfort and supportive seating while you enjoy reading or relaxing. Pull the ottoman close for a convenient footrest or use as an extra seat cushion. 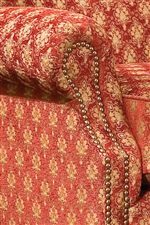 Rolled arms, tapered legs with carved detailing and nailhead trim add sophisticated details and elegance to the room. 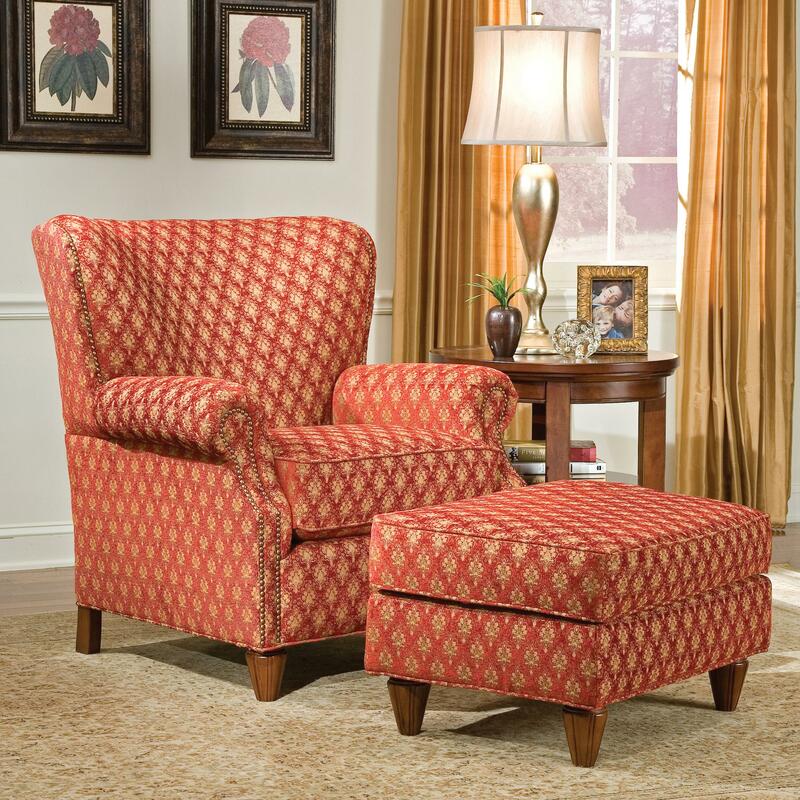 Place this chair and ottoman next to an end table in your home for a charming ensemble. The 1403 Traditional Chair and Ottoman by Fairfield at Lindy's Furniture Company in the Hickory, Connelly Springs, Morganton, Lenoir area. Product availability may vary. Contact us for the most current availability on this product. Bring a classic touch to your traditional decor with the 1403 collection, featuring an upholstered chair and ottoman. The elegant details of rolled arms, tapered wood legs and bold nailhead trim combine with a winged seat back for sophisticated seating in your home. Choose from a variety of fabrics and leathers to create a custom design that you are sure to love. 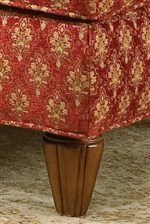 The 1403 collection is a great option if you are looking for Traditional furniture in the Hickory, Connelly Springs, Morganton, Lenoir area. Browse other items in the 1403 collection from Lindy's Furniture Company in the Hickory, Connelly Springs, Morganton, Lenoir area.